The seasonal shift into fall is a welcome one—the weather a little cooler and, hopefully, a lot drier after what seemed like daily summer rain. By July, Virginia rainfall matched the total for all of 2017. And then came the August and September storms! 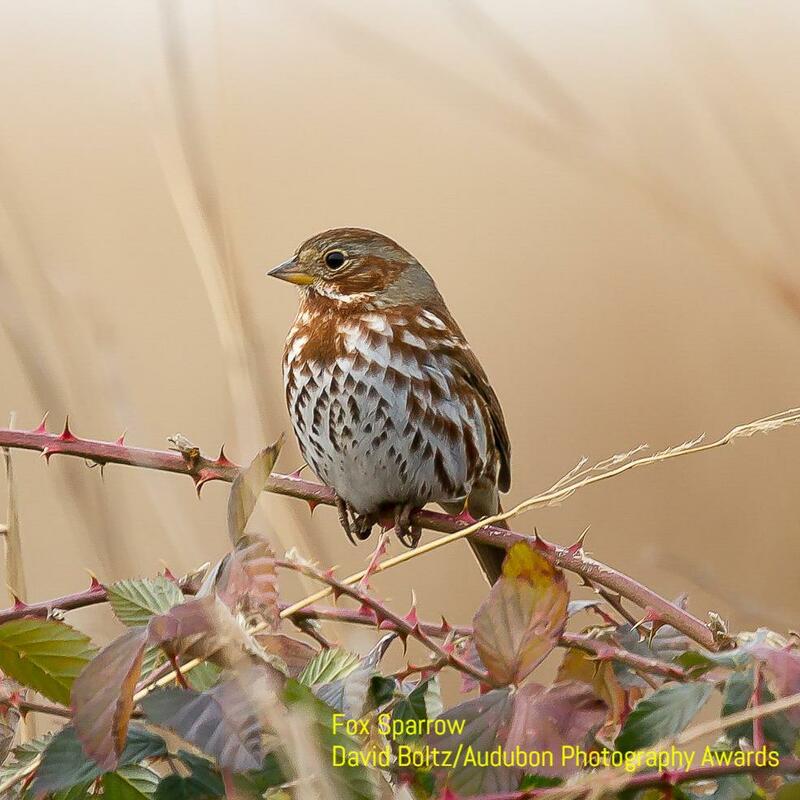 With the advent of autumn, the avian clamor of summer nesting season may be gone, but autumn offers us an excellent opportunity to support birds during migration. Each year my wife and I remind ourselves not to be too obsessive about making our garden beds immaculate. The coneflowers have now faded from pink to brownish black, but they have taken on an even more appealing flash of color—goldfinches in acrobatic postures clinging to these dying flowers and profiting from the wealth of seeds. Our zinnias are nearly as good at attracting birds. 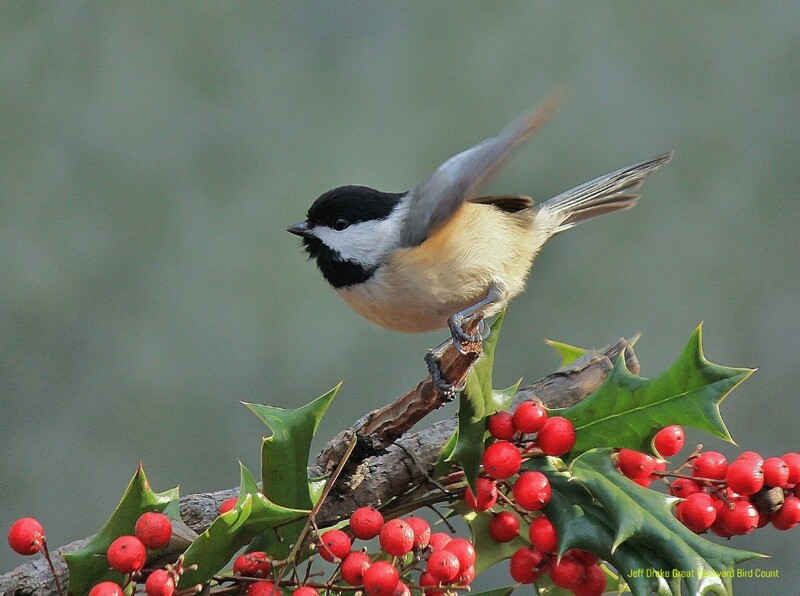 Each year, we accept the inevitability of seed-eaters pulling petals off the flowers to get at the seeds; we have learned to enjoy the flowers AND the birds. We leave spent flowers on as long as possible to nourish birds fattening up for impossibly long journeys to Central and South America. Recently, when we hadn’t seen our hummingbirds for a week, we took in our nectar feeder. But then we saw a little green beauty on our cardinal flowers, so out went the feeder again. My cousin in rural Tennessee uses a generous gallon of nectar every day to refill her 20 feeders during hummingbird season. Sitting on her porch with 40 or more hummers buzzing past your head and jockeying for position at the feeders can be a little daunting. But she’s doing her part to fuel their southward migration while marveling at their aerial skills. 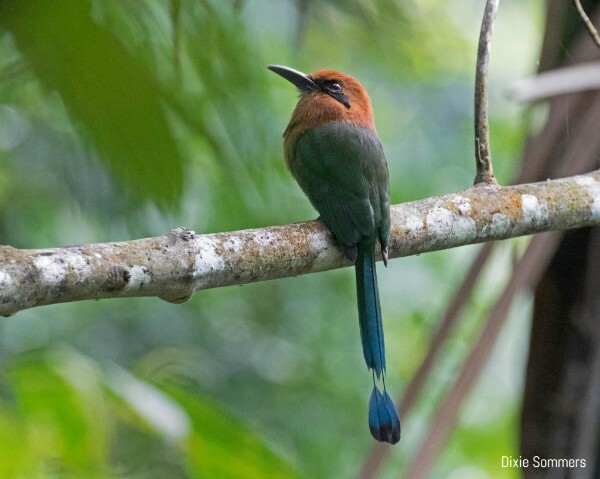 Not everyone has the time or energy for that sort of commitment, but you can do more for birds even when doing less. Plus, you have an incentive, not just an excuse, for being a little lazy and putting off that garden cleanup for a few more days. So sit back, preferably outside, and enjoy your autumn day with the birds! Estimated time commitment: 2 hours per week from March through May and from August through November. 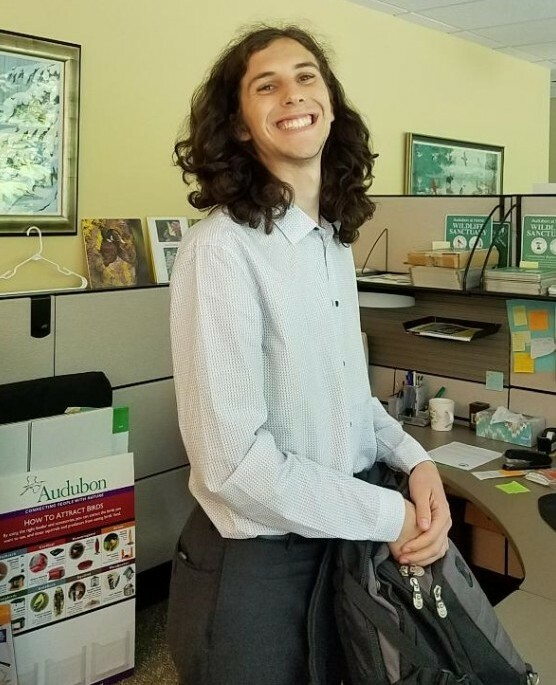 Audubon at Home (AAH) extends a hearty thank you to summer intern Spencer Powell, who greatly aided AAH by organizing critical programmatic materials, including the newly revised Wildlife Sanctuary Species page. Audubon at Home (AAH) ambassadors joined AAH Loudoun County Coordinator Anne Owen (at right in photograph below) at her home on soggy September 23 to see and discuss how, in only two years, she transformed spaces in her Leesburg yard into havens for wildlife. 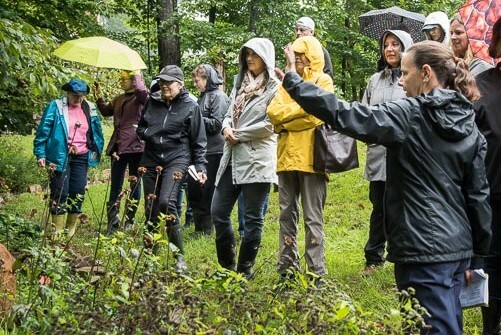 Landscape designers Susan Abraham and Leslie Solitario and former Loudoun AAH Coordinator Ann Garvey also provided insights into how to replace sterile builder plantings with attractive native plants and how to manage storm-water issues. We thank them all for their contributions. Project Feederwatch is the easiest citizen science you will ever do! From the comfort of your home you simply count the winter birds that visit your feeders and report your data to Cornell Lab of Ornithology. 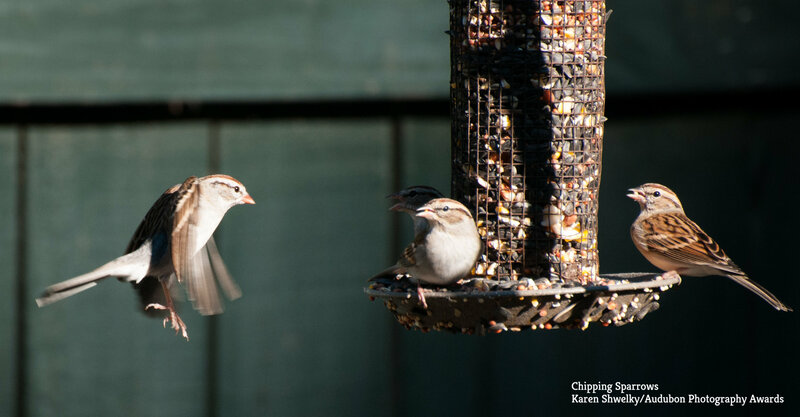 This FREE workshop will cover a bit of the history of Project Feederwatch, its purpose, tips for identifying birds, and the protocols to be followed while counting. We’ll spend some time practicing with the birds at the ASNV feeders. Classroom: Saturday, October 27, 1 p.m. to 3 p.m.
Instructor: Carol Hadlock, volunteer extraordinaire and pioneer with the Audubon at Home program, will instruct this workshop. On November 6, Virginians will elect 11 members of the U.S. House of Representatives and one U.S. senator. Many observers contend that the outcome of this election could change the party composition and leadership in the House and Senate, including several House seats in Virginia. To find your congressional district, visit https://www.house.gov/. Would you like to help ASNV learn about priority environmental topics and discuss a coordinated approach to advancing policy in the upcoming Virginia State legislative session? In preparation for Virginia’s 2019 General Assembly, Virginia Conservation Network (VCN) and its partners, including ASNV, will convene for a preview of what’s in store for our natural landscapes and resources. This event will take place from 8 a.m. to noon Saturday, December 1 in Richmond, Virginia. To better accommodate the vast majority of Virginians who live outside of the Richmond area, VCN is hosting watch parties across the Commonwealth, in addition to hosting the regular in-person event. If you would like to attend the event or at a watch party, contact ASNV at info@audubonva.org, and we will provide you with information on registration when it becomes available later this month. Wednesday, October 10 - 8:30 to 11:30 a.m.
Sunday, October 14 - 7:30 to 10:30 a.m.
Sunday, October 21 - 8:00 to 11:00 a.m.
Our kinglets and sparrows should be making appearances! Join the walk led by Dixie Sommers in this new location situated adjacent to the beautiful Marumsco Creek and Occoquan Bay National Water Reserve. Sponsored by Prince William County Parks. Register for activity 348001-VC at https://parksandrec.pwcgov.org/wbwsc/webtrac.wsc/search.html. Wednesday, October 31 - 8:30 to 11:30 a.m.
Getting there: Go South on I 95 to exit 163 to Lorton. Turn left onto Lorton Rd. at the end of exit ramp. Go under second overpass and turn right onto Lorton Market St. (You will see Shoppers Food Warehouse). Go about 1.5 mile to traffic light at Rte. 1. Go straight through light (road name changes to Gunston Rd.) and go about 1 mile to entrance on the right. Saturday, November 10 - 8:00 to 11:00 a.m.
Sunday, November 18 - 7:30 to 10:30 a.m. So the leaves are down: all the better to see the woodpeckers and brown creepers. Sponsored by The Reston Association and The Bird Feeder of Reston. Sunday, December 2 - 8:00 to 11:00 a.m.